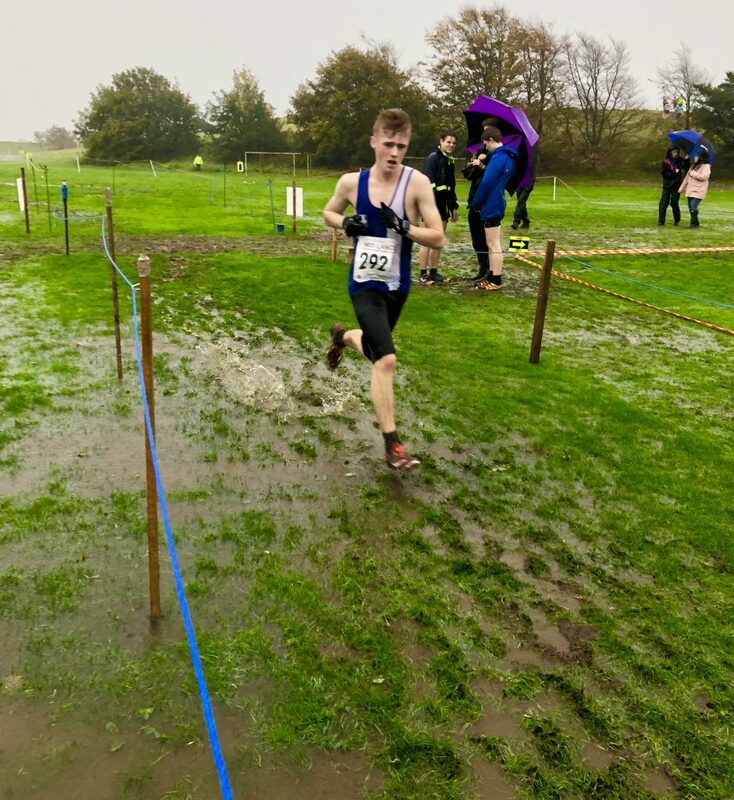 Contrasting conditions at the start of the cross country season with good weather at Leigh for the Red Rose league fixture and pretty wet, muddy and windy at Ulverston which hosted the first Mid Lancs fixture of the season. 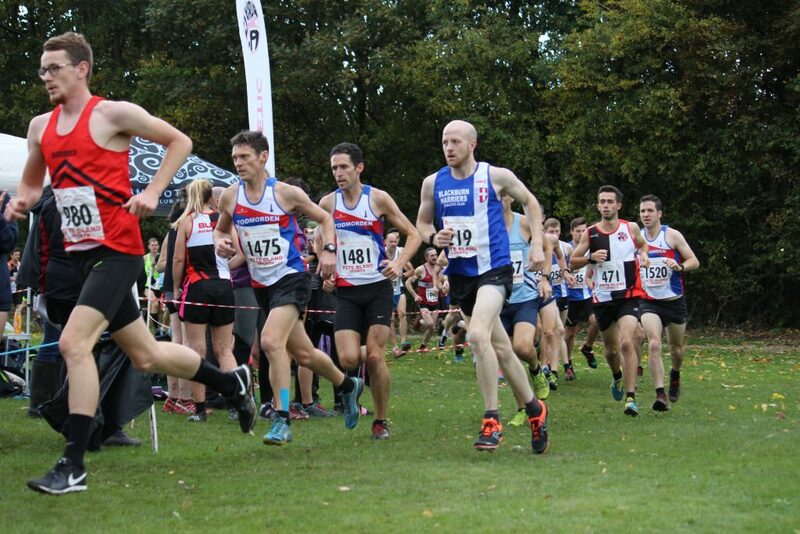 Great Start for the Club at Leigh in the opening fixture in the Red Rose League as the Senior Women won both the Team and the Vet Team after great running and packing by the athletes. 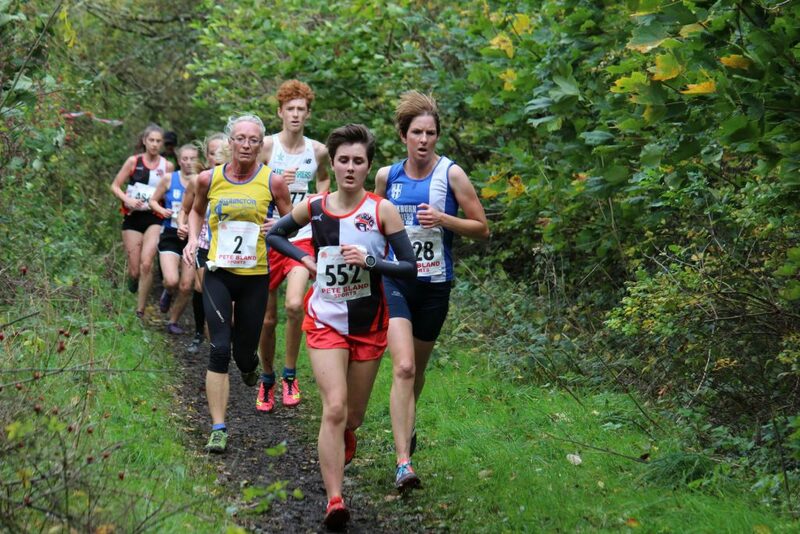 Leading the Club home to the Team win was Katie Buckingham who finished 3rd overall clocking an impressive time of 20.41 with Carmen Byrne in 5th (20.49), Joanne Nelson in 6th (21.04), Victoria Mousley in 7th (21.17), Carly Edwards 16th (21.59) and Ellen Sagar-Hesketh (20th) with a time of 22.39 securing the win. 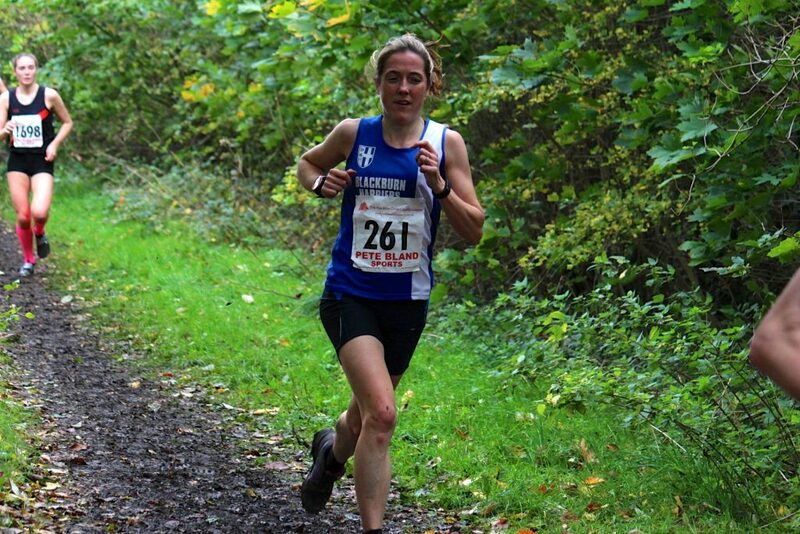 The winning Vet Team win was headed by Carmen Byrne in 2nd place, Joanne Nelson in 3rd and Victoria Mousley in 4th. 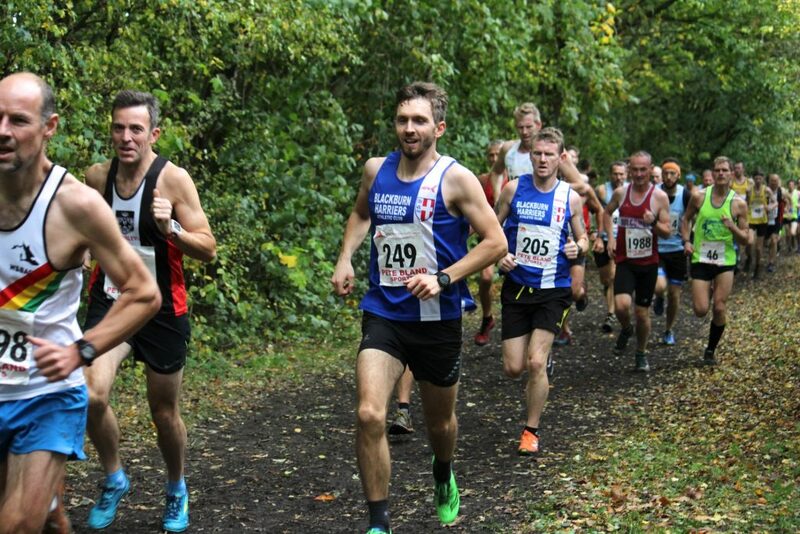 The Senior Men also had a cracking day which saw Tim Raynes win the race outright and the Harriers winning the Team as they had all six counters home in the first 14 places. 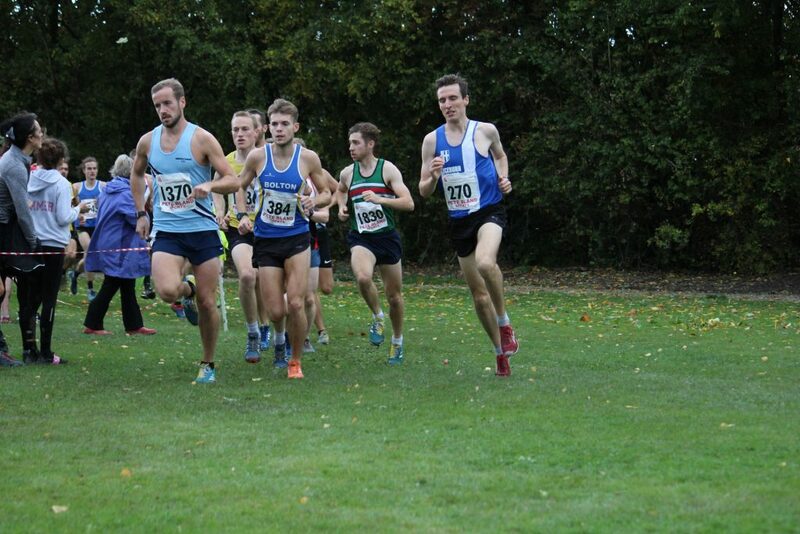 Tim headed the field of nearly two hundred athletes winning by nearly half a minute in 33.45, backed up by some very good runs from Ben Costello in 3rd spot (34.20), Karl Billington in 7th place (35.00), Josh Holgate 8th (35.09), Jacob Watson 12th (35.54) and Marc Hartley 14th in a time of 36.13. 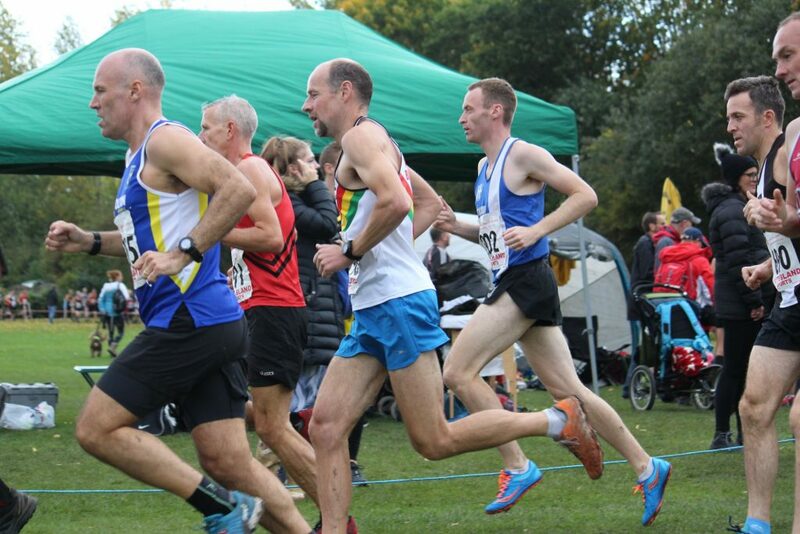 Paul Bradshaw was the next Harrier across the line in 31st position clocking 38.13 followed by Paul Brindle in 33rd (38.23), John Horrocks (43rd) running a time of 39.38, Thomas Marchant 55th and 3rd U20 on the day with a time of 40.57, V50 Chris Balderson in 68th place (42.01), V45 Craig Greenough (8th) in 42.53, Mark Almond running 43.55 in 99th place and Allan Hartley in 169th posting a time of 50.35. 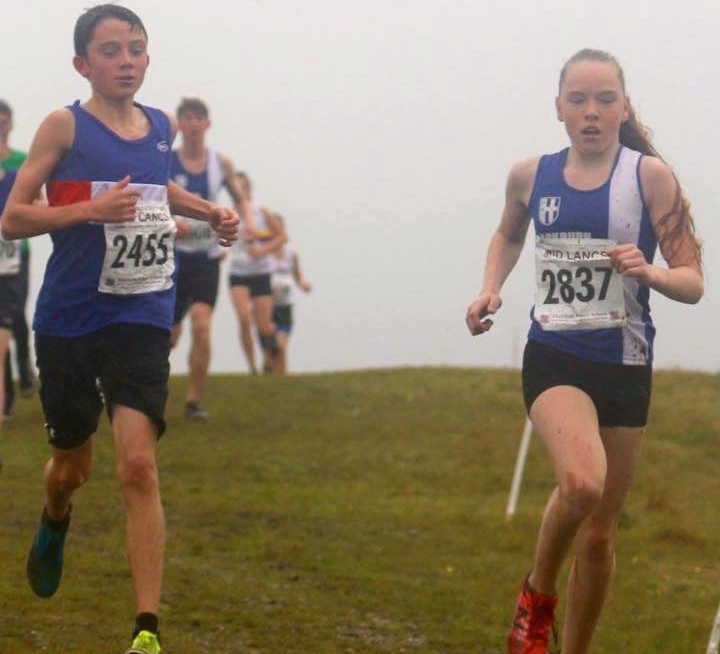 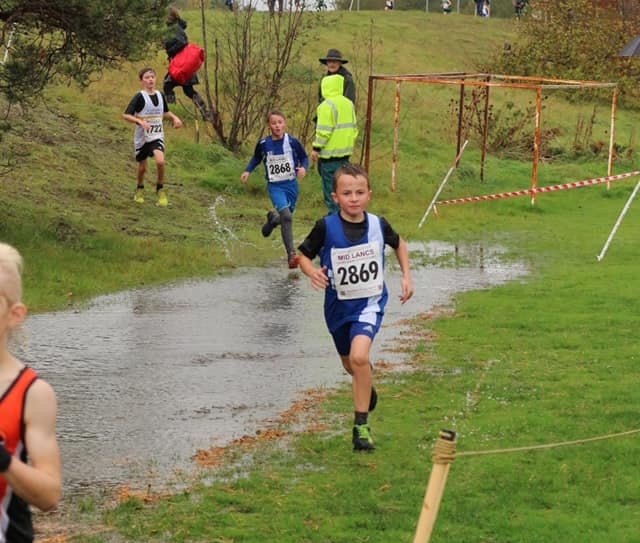 With most of the Harriers Junior athletes competing in the Mid Lancs at Ulverston, there were just a few competing at Leigh with Harry Sambrook in his first year as an U13 placing 40th out of a field six in a time of 11.45 – Isabelle Hartley running in the U13 Girls Race coming home in 39th out of 63 with a time of 11.48 and George Whittaker finishing 18th out of forty one in the U15 Boys Race (14.26). 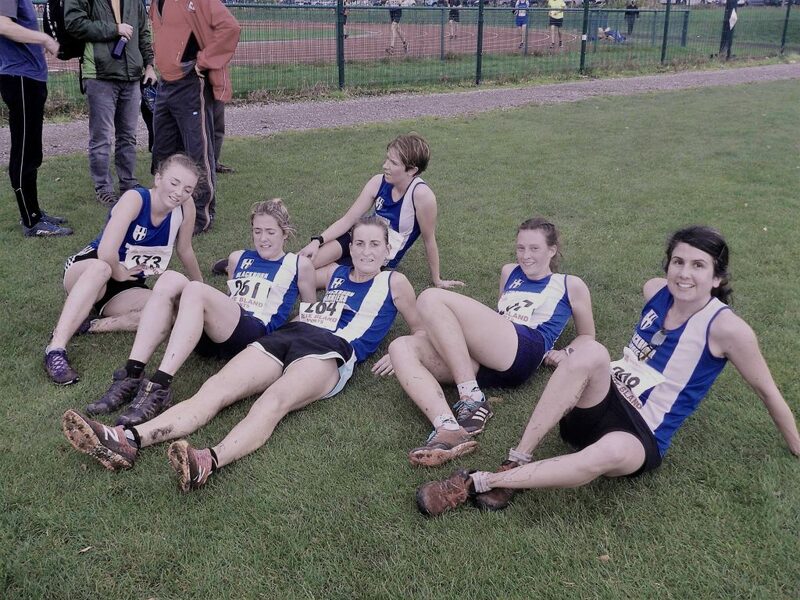 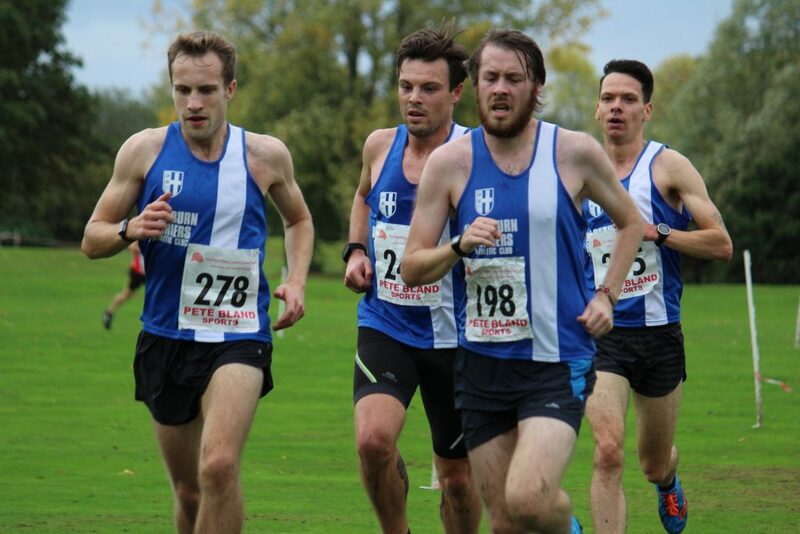 Success for the Harriers continued at the Mid Lancs fixture at Ulverston, this time for the Harriers Juniors which saw the Club produce four team wins, a 2nd, 3rd and 4th team place, two individual outright wins and a win in the Men’s V50 category. 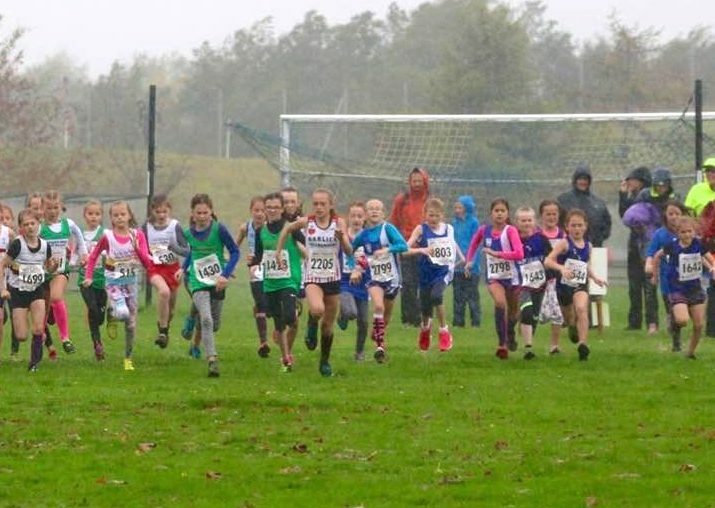 The U11’s got the Club off to a good start as the Girls came 2nd in the team event overall with Hannah Davies (7th) in 9.21, Eve Coulson in 8th (9.26) and Imogen Robinson clocking 9.29 to finish just three points behind Kendal-Helm. 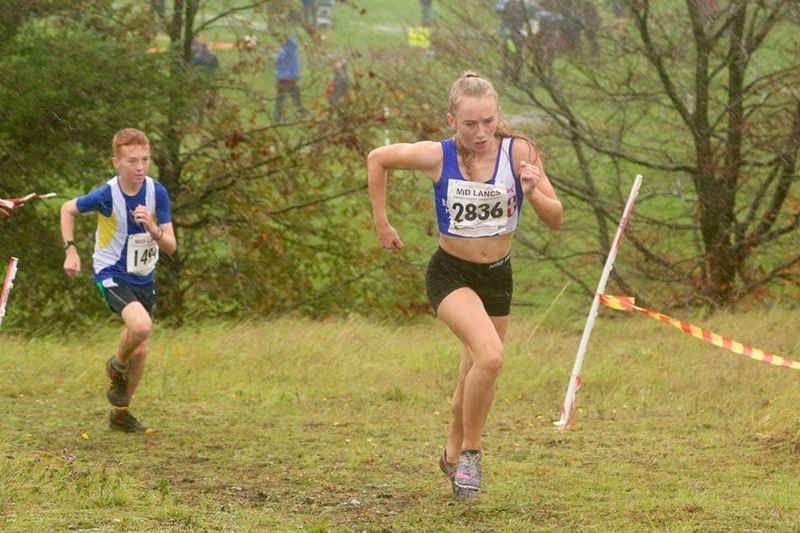 Isabella Pacelli ran a time of 10.19 in 20th with Lulu Sharp in 36th (11.17) and Emelia Stockton in 39th. 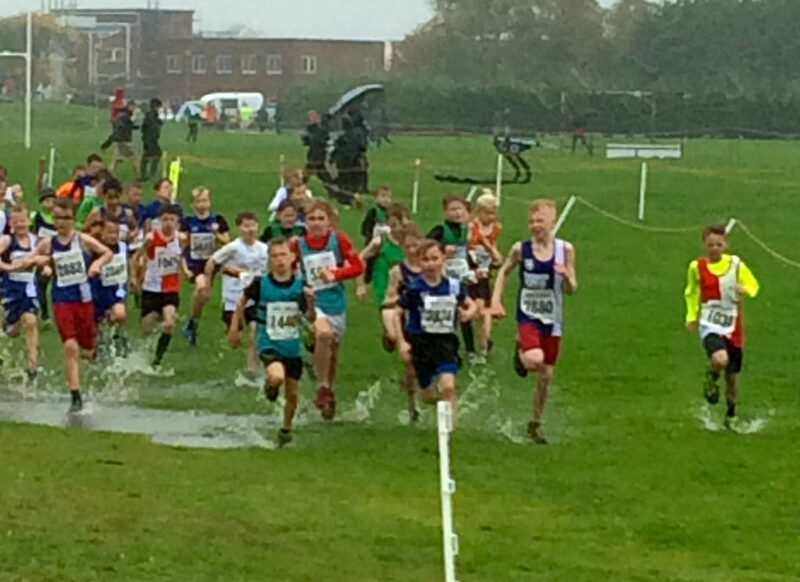 The U11 Boys went one better winning the team race as Mathew Smith came home in 2nd place (8.15), with Sam Aspey in 5th (8.34) and Oliver Gill 12th in a time of 8.52 which helped them finish twelve points in front of Lancaster & Morecambe. 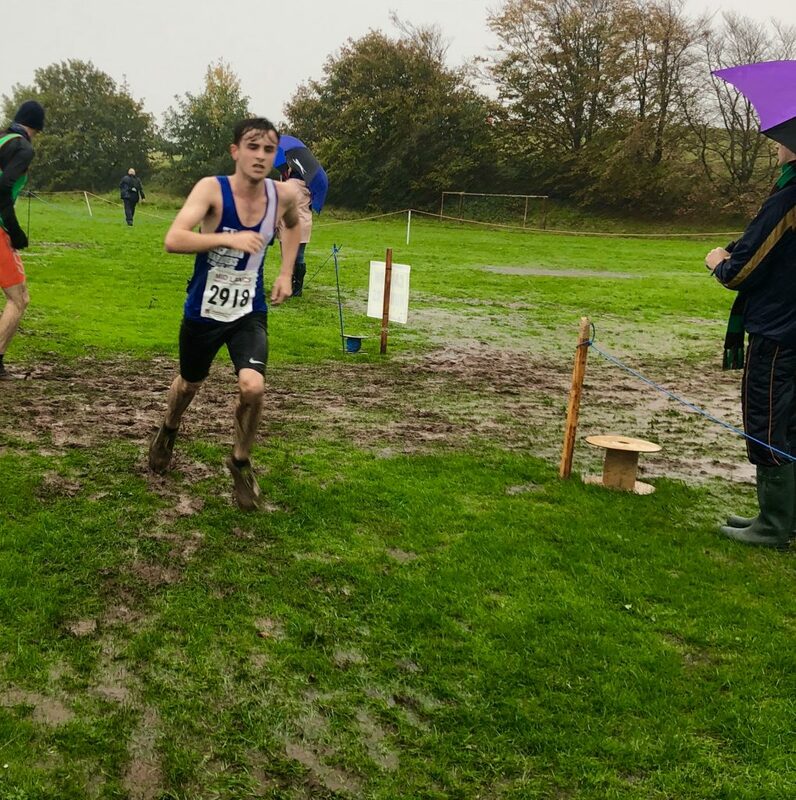 Charlie Haworth and William Grundy finished in 15th and 16th respectively, both being given the same time of 9.04 with Findlay Carroll another six seconds further back in 18th spot (9.10). 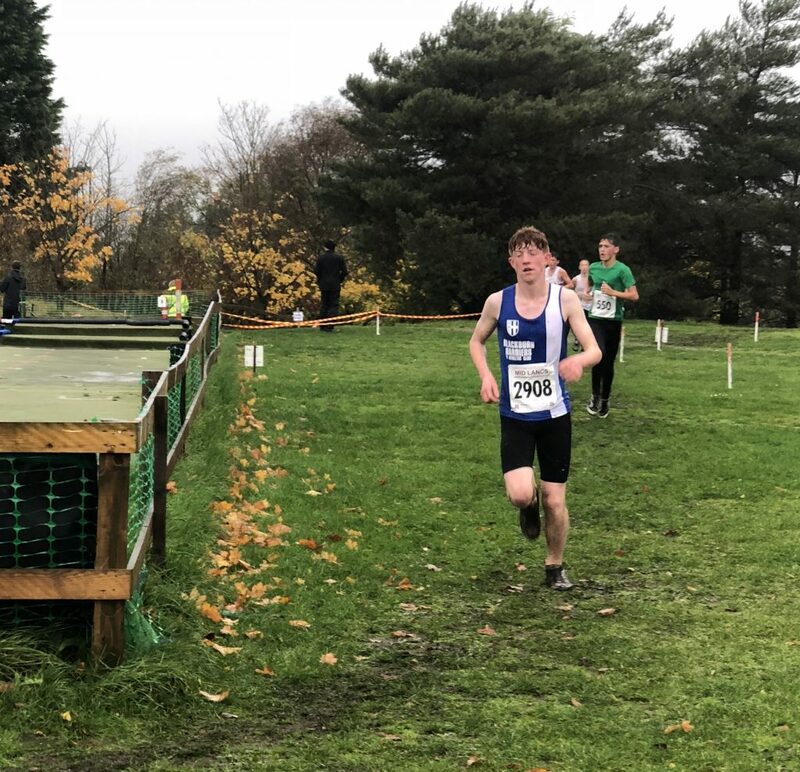 Liam Bennison (28th) in 9.44, Loucas Lancashire (31st) in a time of 9.46, Alexander Brien in 10.21 (42nd), Evan Potter in 47th (11.13), Isaac Smith 50th in 11.36 and Sam Craven 51st (11.38) made it twelve U11 Boys and six Girls who braved the weather to compete and all credit to them. 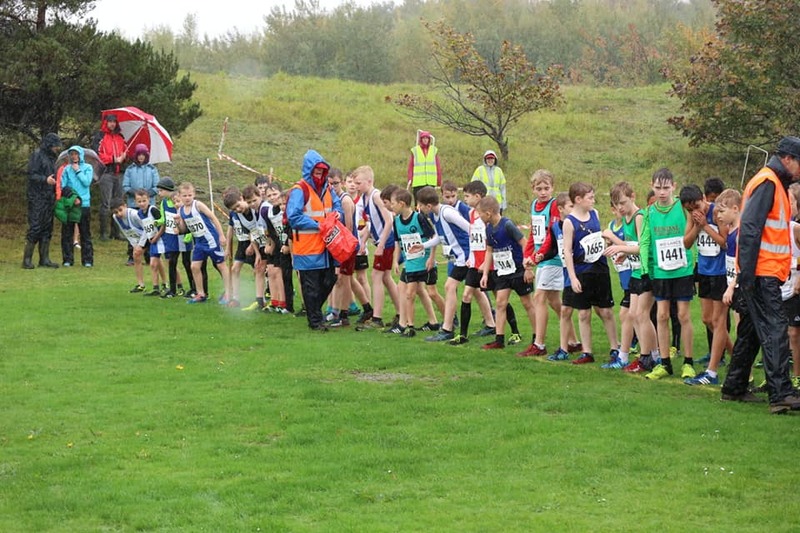 It was 3rd place for the U13 Girls Team as Kate Cookson finishing 14th out of 40 in the field (10.49), Keira Haxton (16th) in 10.53 and Molly Grinshaw in 18th spot (11.11) were the three counters for the team. 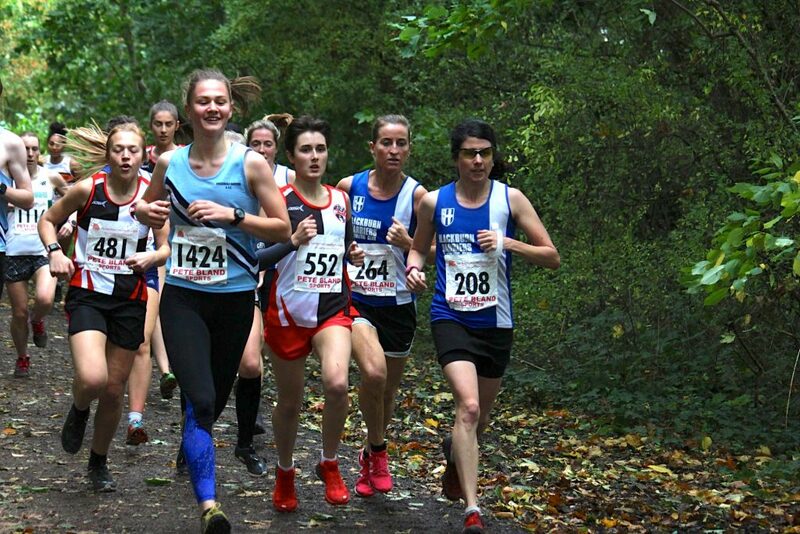 Ten seconds separated Amelia Burton in 22nd (11.20), Caroline Woodworth (23rd) in 11.22 and Eva Knowles (24th) clocking 11.30 as Kiera Booth came home in 28th place (11.40), with Libby Neal in 36th (12.58) and Madison Bontoft in her first ever cross country league fixture in 40th (14.16). 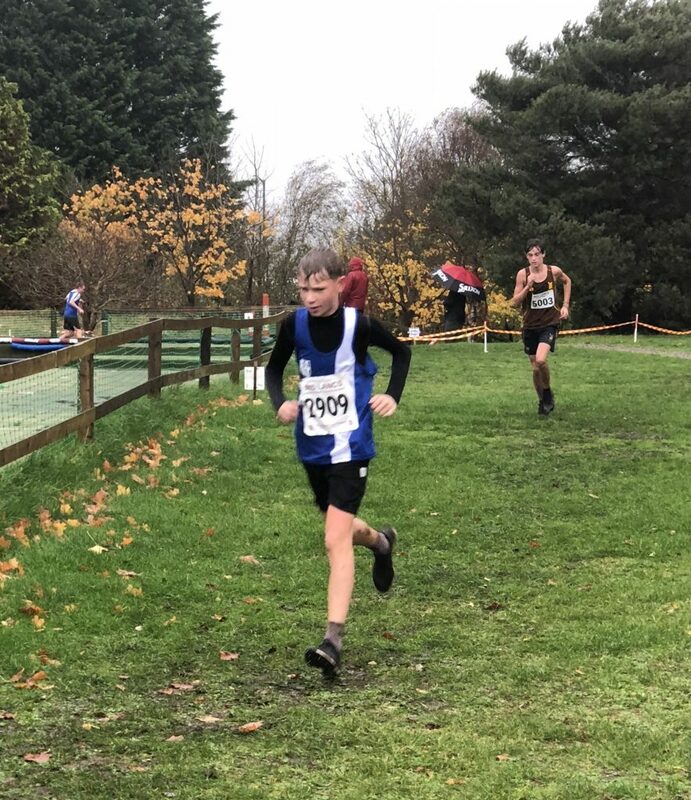 Isaac Butler had a very impressive indidvidual win in the U13 Boys race coming home fourteen seconds in front of second place and leading the boys to another team win on the day. 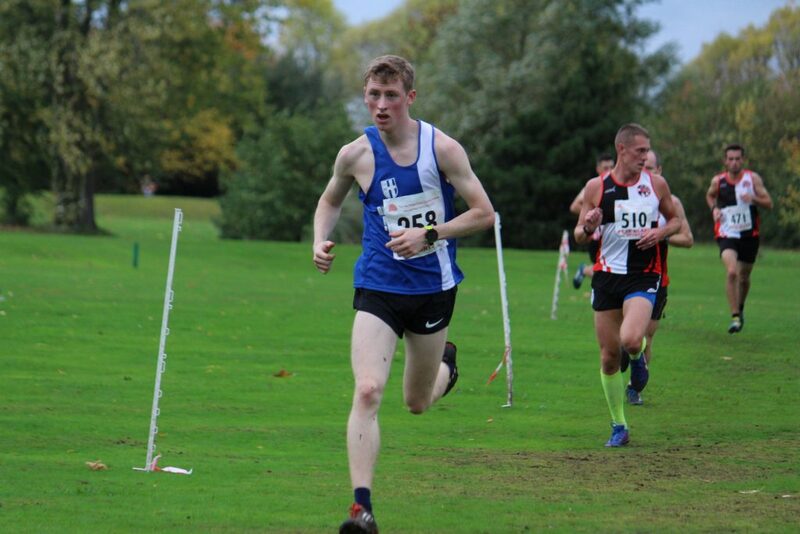 Isaac won the race in 10.09 with back up from Jonathan Brindle in 13th place (11.15), Daniel Smith in 17th (11.34), Codie Dewhurst in 19th (11.37), Saul Sharp (24th) with a time of 11.52 and Umair Rafiq in 27th position (12.25). 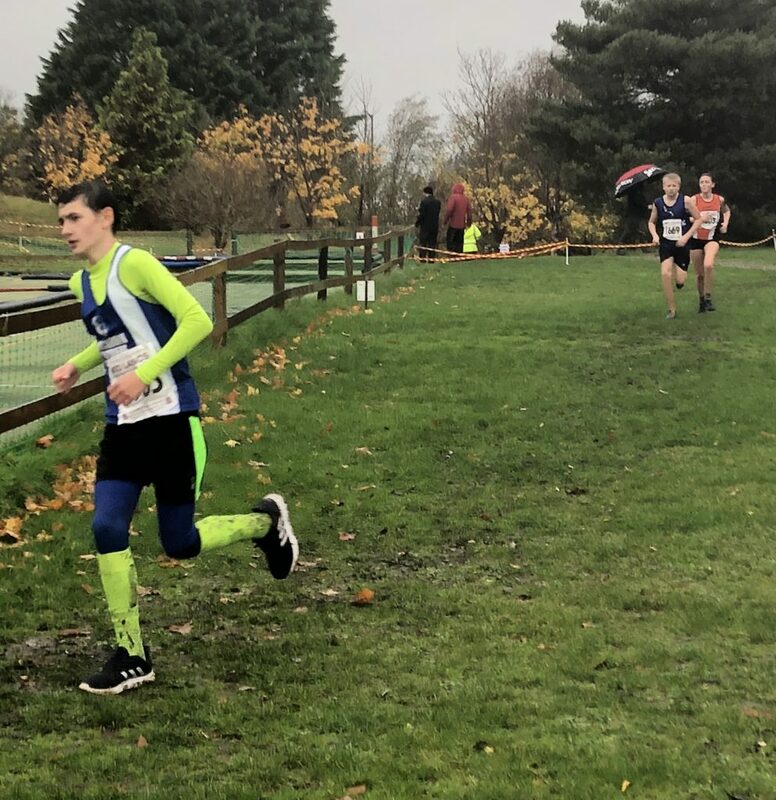 Eleesha Charnley, Leah Hoole and Rebecca Ramsden teamed up to record another team win for the Harriers in the U15 Girls which saw Eleesha place 3rd overall, clocking 11.05 with Leah in 5th place (11.49) and Rebecca in 17th (13.17). 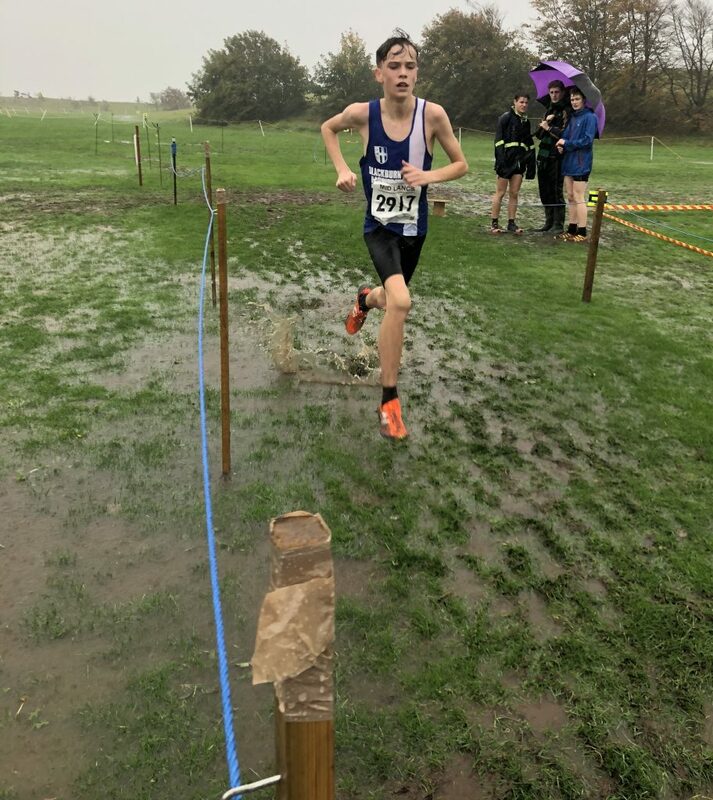 The U15 Boys finished 4th team on the day and were led home by Kyle Taylor-Pomfret who took 16th place in the 42 strong field (17.21) with Hayden Mercer in 23rd (17.46), Danny Woodcock (29th) in a time of 18.49, Thomas Brooks 35th in 19.58 and Sebastian Burton clocking 20.33 in 38th spot. 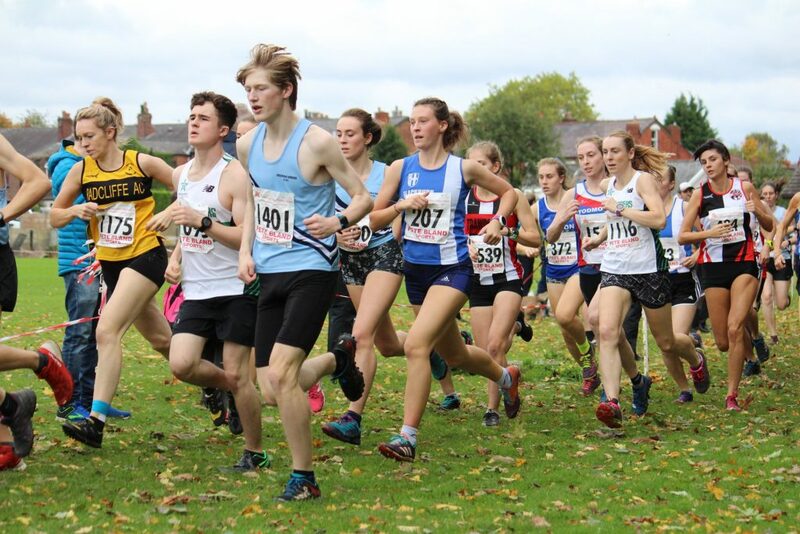 There was an individual and very comfortable win for Amy Davies in the U17 Women’s Race as she clocked 17.31 – nearly 50 seconds in front of 2nd place. 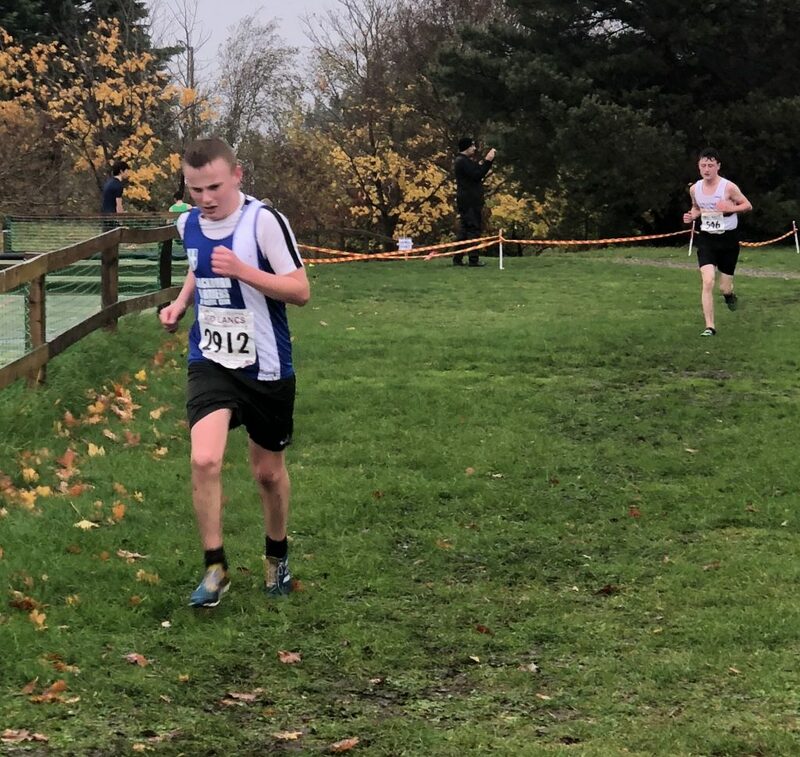 The U17 men took the fourth team win of the afternnon as they finished just five points clear of Blackpool with Matt Ramsden taking 2nd spot in 23.20, Sam Hodkinson coming home in 4th place (24.07) and Harry Wilkin in 14th with a time of 27.59. 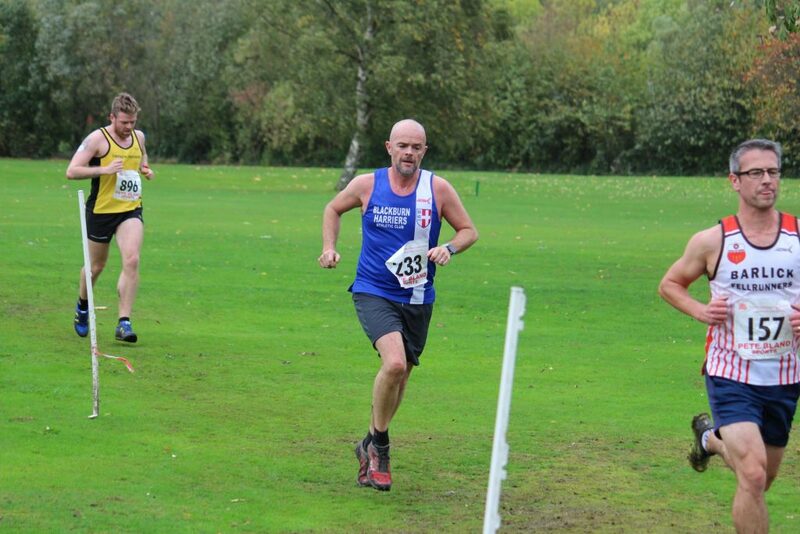 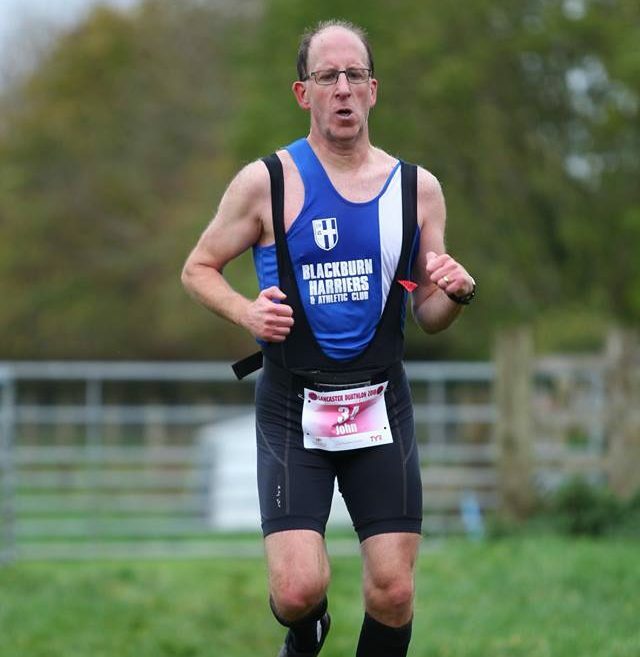 Mark Chippendale had a very good run in the Senior Men’s race coming home 12th overall out of two hundred and fifty one and winning the V50 age category in a time of 36.30. 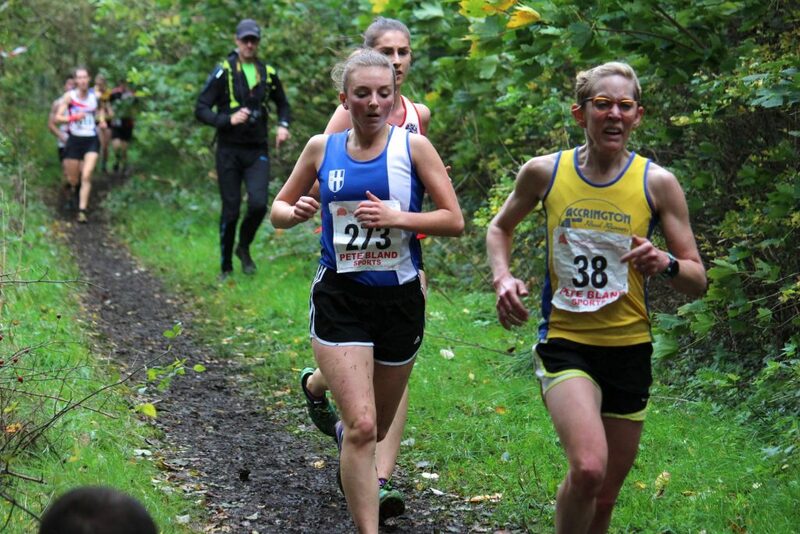 Lindsay Davies competed in the Senior Women’s Race to come home in 36th place overall (32.39) out of a field of one hundred and fifty eight. 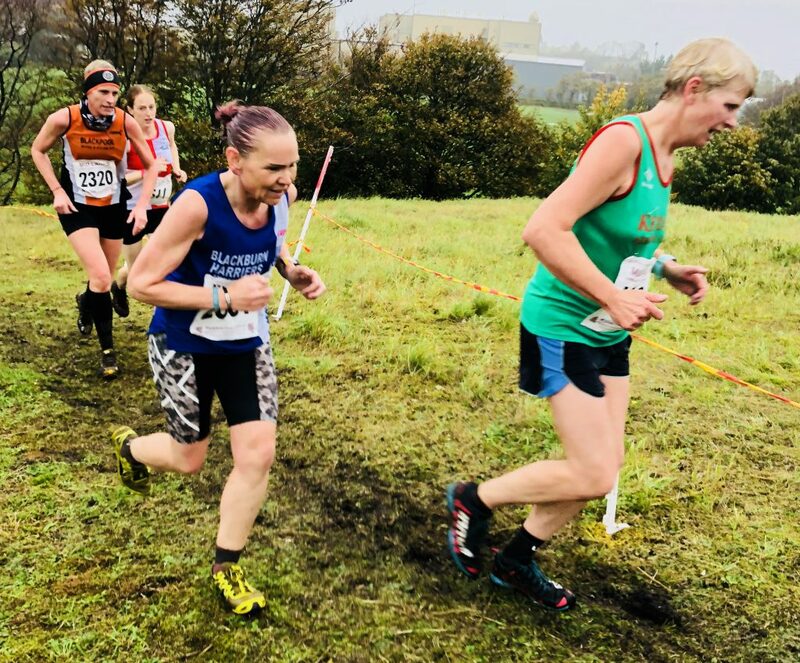 The first race in this years Cross Challenge Series which took place in Cardiff on Saturday October saw Jess Judd come home in 4th place overall (22.04) behind the winner – Anna Moller from Denmark (21.48), Kate Avery 2nd in 21.52 and Emily Hosker-Thornhill 3rd in 21.54. 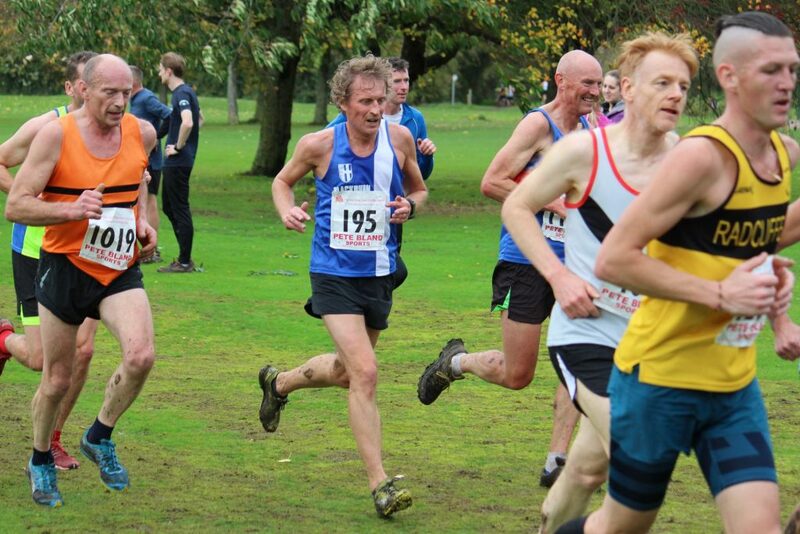 The second race takes place in Liverpool’s Sefton Park on November 24th and is one of the highlights of the cross country calendar in the North West. 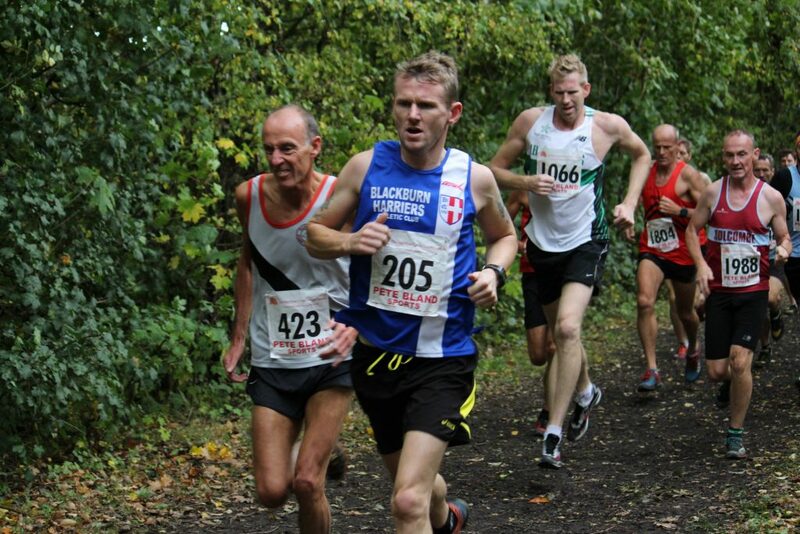 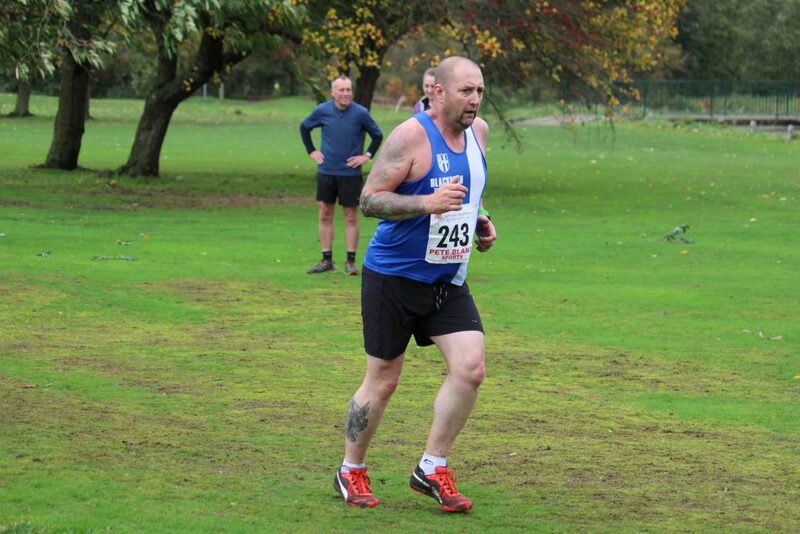 Four Blackburn Harriers contested this race featuring some ten thousand runners last Sunday. 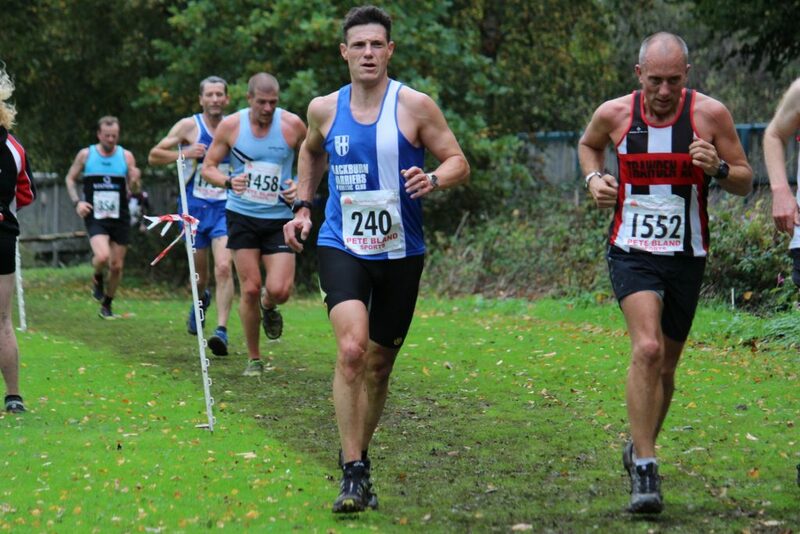 Ben Fish was the first athlete home for the Club clocking a time of 68.09 and 10th overall in the race. 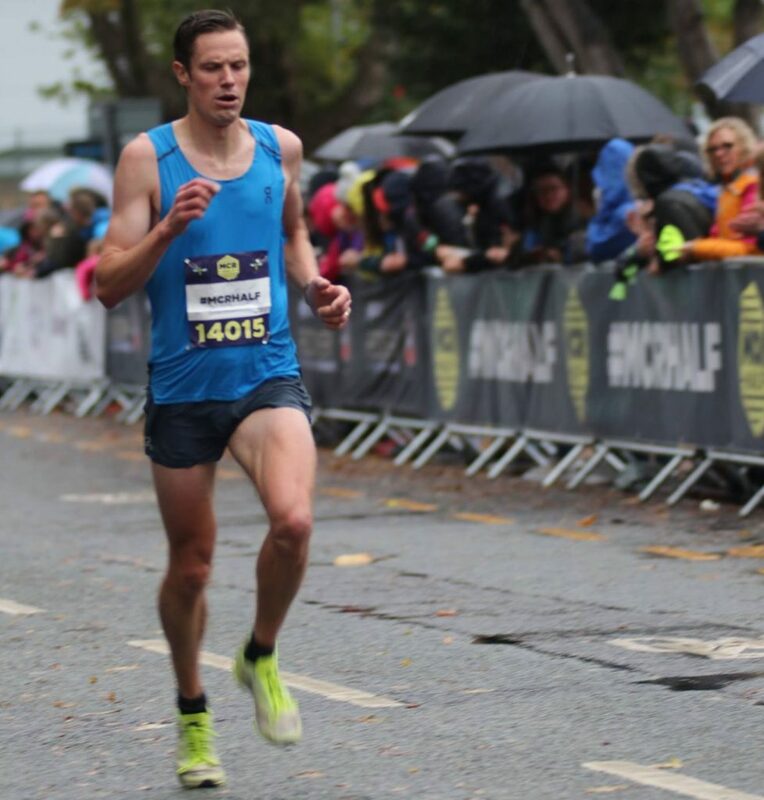 Chris Davies had a fabulous race, one which he had targeted all year, as he came home in 35th place and 4th V40 in a new PB time of 73.33 – some two minutes faster than his previous best time for the distance. 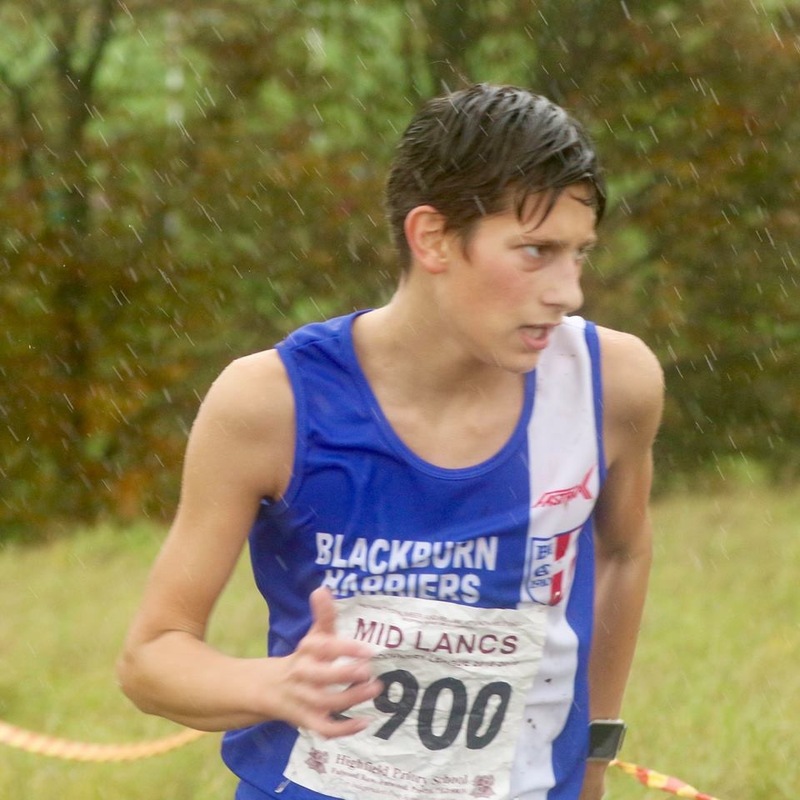 Also getting a massive new PB was Calum James, who was making his debut for the Harriers – Calum ran a time of 84.08 in this same race in 2017 and then reduced that time to 78.57 this year at Blackpool. 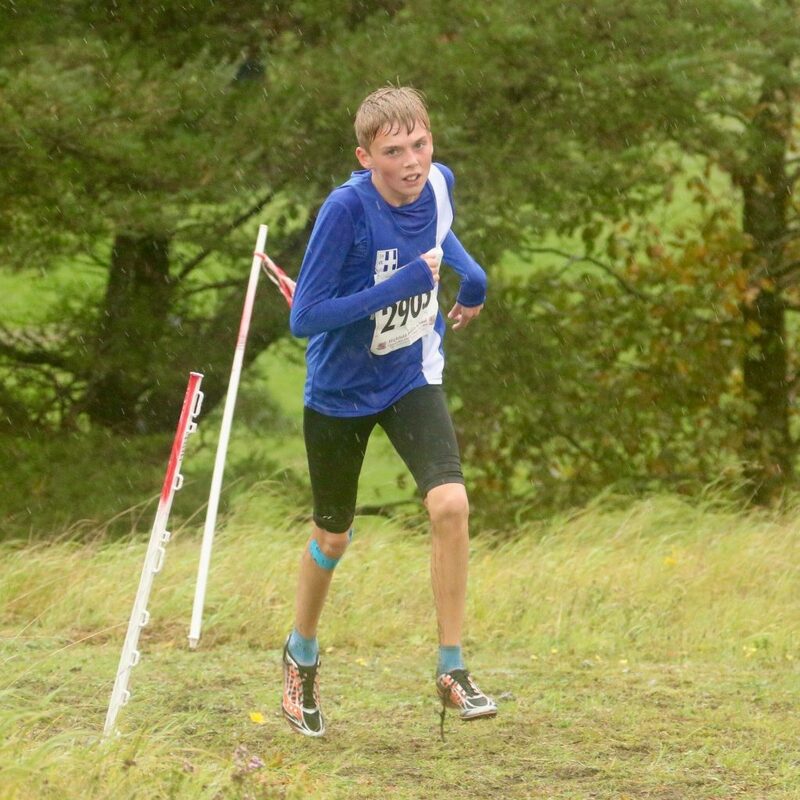 On Sunday he chopped nearly three minutes off his best time to set a new personal best of 76.06. 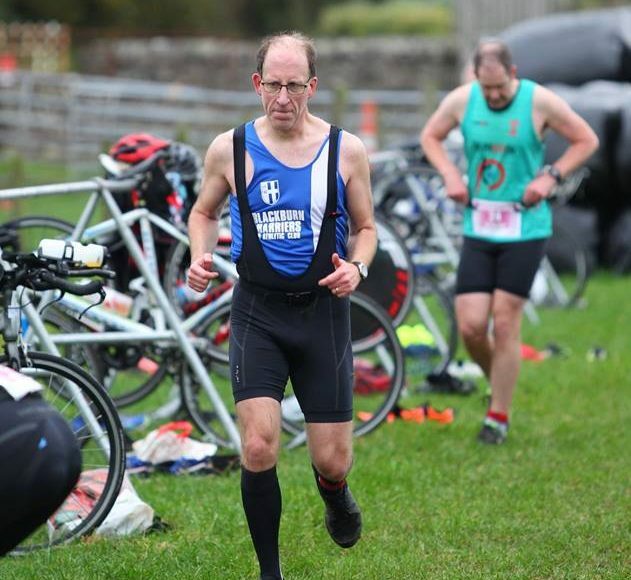 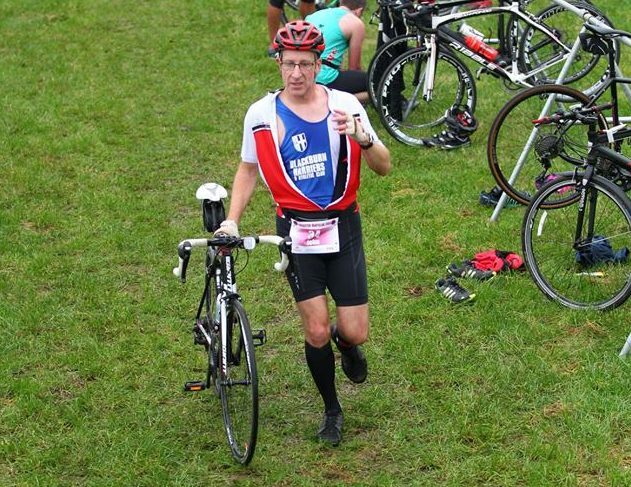 V45 Paul Guinan came home in 126th position and just seonds outside breaking 80 minutes as he placed 9th V45 in a time of 80.03. 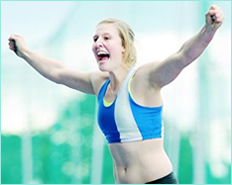 More very good performances for Harriers athletes and this time in Field events at the Hammer Circle Reunion event held in Hull over the weekend. 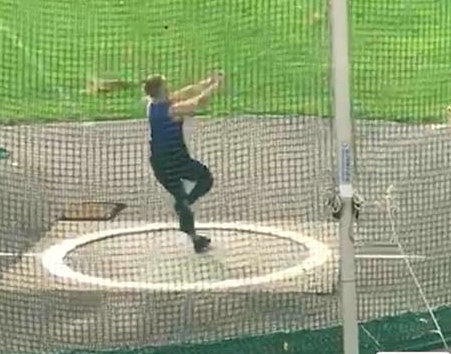 U15 Matt Heywood won the 4kg Hammer throw with a distance of 44.81m, finished 6th in the 5kg Hammer competition with a throw of 40.08m and 1st in the Weight (16lb) with a distance of 16.81m. 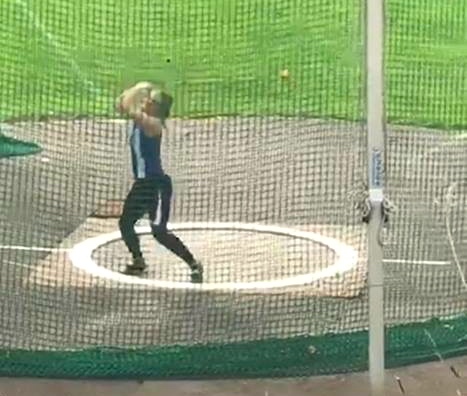 U17 Charlotte Williams had a great weekend as she won the Hammer (3kg) with a throw of 54.61m and then threw a new PB of 54.12 in the Hammer (4kg) and 1st U17.